I decided to put this put because they have been alot of arguments go on concerning .NG domain name. .NG help you to enable alot of benefits. From my research sites with .NG ends ranks high in Google local search. Imagine millions of Nigerians searching on each day, if you get 1% of their search you will likely have over 100k visits. Which is alot of money. With .NG you site can rank higher in any Nigerian search. It is cheaper, afford and works wonderfully. Here you will see host registrars that offers .NG services. 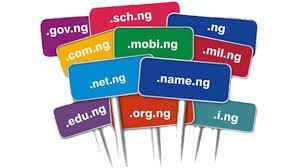 Using .ng domain name makes it very clear and gives a clear distinction to your website its Nigerian owned, this is particularly good for branding purposes if this is one of your aim. Many have been arguments as to this but most people believe a website with the ng domain name will rank higher when searching of local results. .NG domain helps your site to rank high in Nigerian search. It is cheaper to afford. The following domain registrar offers the best web service in .Ng hosting. The above websites help you to register a domain name end with NG. Hope the article is good,,, click the sharing buttons.